How often should smartwatches iterate? It's a difficult question. Motorola isn't seeing the benefit in doing it yearly, and it's not the only one. Apple chose to wait 18 months between the first and second models of its smartwatch, but that may still have been short enough to irk those who spent a great deal of money on the first. 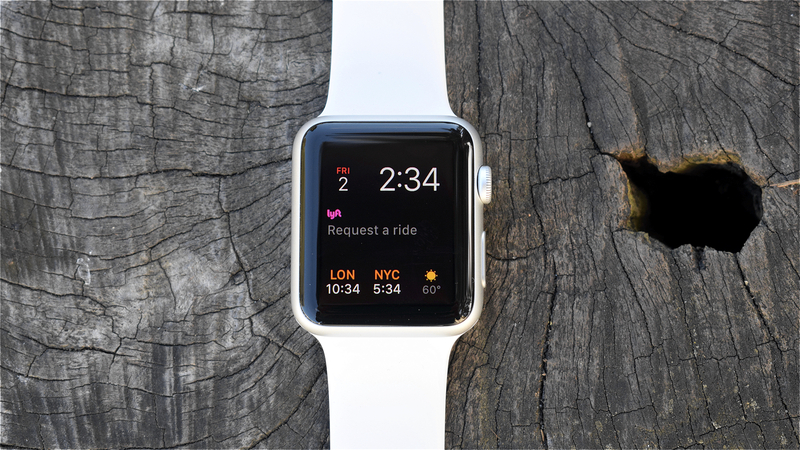 But it didn't just launch a sequel in the Apple Watch Series 2; it refreshed and revamped the original model into what has become the Series 1, which lacks the built-in GPS, waterproofing and better screen of the Series 2. It does, however, trump the original model with a dual-core processor, making it noticeably faster. Apple has also discontinued the original model entirely – just as well, it could get a bit confusing otherwise – meaning the Series 1 is now your cheapest option if you're looking to get an Apple Watch. But this raises more questions. Is it worth getting when the Series 2 is available? And what if you already have an original Apple Watch – should you upgrade to the Series 1 instead? If you can't see any difference in looks, that's because there aren't any. The Series 1 is identical to the original Apple Watch and ostensibly the Series 2, although the latter is actually 0.9mm thicker. You'll only notice if you put them side by side, though – if anyone sees an Apple Watch on your wrist, we guarantee they'll have no clue which version they're looking at. Where the Series 1 does lack, however, is in choice of materials. While combinations of colours and straps are plentiful, Apple is only offering the Series 1 in the Sports model; if you want a stainless steel case, you'll have to go for the Series 2. This makes sense on a price level as you'd theoretically end up paying more for a stainless steel Series 1 than a Sport Series 2, but some people who don't care for the additional fitness features might be wishing Apple offered the pared-down model in a classier material. Still, you've got the option of silver, gold, rose gold and space grey cases, with loads of bands available both inside and outside Apple's store, so there's plenty of potential to jazz it up to your liking. The 450 nit display on the Series 1 remains the same as the first, while the Series 2 is a marked improvement at 1,000 nits. I've always thought the Apple Watch screen was good, even in sunlight, but you'll get more brightness out of the Series 2. Waterproofing is also different, and keen swimmers may be better off going for Series 2 because of it. The Series 1 has the same IPX7 rating at the first watch, which means you can shower with it no problem. The rating technically means it can withstand immersion in water up to one metre for up to 30 minutes, but Apple recommends against dunking it, and so would we. This is where the Series 1 outpaces the first Apple Watch, or "Series 0" if you prefer. Apple has included the new S1P dual-core processor, and it makes a noticeable difference. The S1P is different to the S2 chipset of the Series 2, which differs due to the inclusion of GPS, but speed wise the Series 1 and Series 2 are the same. And that's really good news. Performance was one of our main problems with the first Apple Watch. It was often sluggish when moving between menus, hanging when opening apps, and quite stuttery overall. That's not us being persnickety; we'd often be waiting on that spinning wheel for twice as long as it would take to reach into our pocket, take out our phone and open the app on there instead. It was in those moments that the watch had defeated its purpose. With Series 1 the experience is much smoother, with noticeably less judder when moving around the operating system. Opening apps is much faster, the spinning wheel of frustration now making only minor cameos. It does pop up when loading apps that aren't in the dock, but it sits on the screen for a couple of seconds at most. On the original model I could be waiting for ten seconds, maybe even longer, for an app to boot – and sometimes still am, even with OS3 installed. When you're trying to open something like Shazam to identify a song, why bother? I've heard some people say the display shows up a little faster when raising the Series 1 watch, but side by side it's been the same for me in testing. The battery life is very similar too, although I'm getting a little more out of the Series 1 than my original. Part of this, I think, is that over time the battery of my Series 0 has worn a bit, but I also think the new processor is helping get a little more life out of the battery as well – probably because it's not working so hard to open apps all the time (I usually notice more battery being sucked out when booting apps on the watch). I can get about a day out of it with normal use, which isn't quite as good as what we've seen with the Series 2. In both cases it's less than what we'd like from a smartwatch, but Apple thinks most people are fine with charging it on their bedside overnight. That will obviously have to change if it ever adds proper sleep tracking tech to the watch, which we suspect it eventually will. Right now there are third party apps like Sleep++ which do let you track, but they're quite basic and if you do want to monitor your shut-eye then you'll need to be more vigilant about charging. Luckily the Series 1, as with all the other models, charges up pretty quickly. The other big change that comes with Series 1 is Watch OS3. OS3 can be downloaded on the original model too, and doing so will bring some improvements to performance, but overall I'm still finding it sluggish at times – the spinning wheel of frustration still lingers more than it should do. The Series 1 is better equipped for the new software, and it's the smooth experience the Apple Watch should have been when it launched in 2015. We've discussed the merits of OS3 in both our Series 2 review and my initial review of the software, so I'm not going to delve too deep into it again here. However it does feel like Apple is listening and learning how people use its watch, and with OS3 it feels like the company admitting it got things wrong and making the changes. I'm glad about that. Smartwatches overall are relatively young, and learning how people want to use their wearables will make all the difference in whether they sink or swim. The dock is a good example of this. Pressing the watch button will now bring up a list of select apps running in the background, as chosen by you in the iPhone app, meaning that not only do you have faster access to them, but you won't have to boot them every time. As I said before though, Series 1 makes booting apps a more painless experience anyway, meaning the dock is actually probably most beneficial for original Apple Watch owners. Fitness-wise, you're looking at the same package as the first, and this is likely to be the factor that divides buyers between the two models. Series 2 comes with built-in GPS and waterproofing, so you're not going to be able to take the Series 1 swimming, nor be able to track your run routes sans iPhone. If these are things that matter to you, go for the Series 2. The optical heart rate monitor on the back also gave us similar readings to the first model, and the way your activity data is fed back to you remains the same. Price is another big factor between the newer watches. The Series 1 is $100 cheaper than the Series 2, and that is going to weigh heavily on a lot of people's decisions. When you compare it to the price of other smartwatches of similar strength on the market, $269 or $299, depending on which size you go for, isn't terrible, even without built-in GPS and waterproofing. We gave the original Apple Watch three and a half stars, while Series 2 earned four. Series 1 lacks some of the new features, but the lower price and improved overall experience make it a noticeable improvement over the original – which is why it earns the same four-star rating. If you've got an original model and really want to upgrade, go for Series 2, if you've neither and don't care so much about the fitness features, Series 1 is where you want to be. The Apple Watch Series 1 is what the first should have been. It's smooth to use and Watch OS3 makes the experience even better. The Series 2 offers more for fitness, but if you're not concerned with that then Series 1 is a cheaper – but still great – smartwatch. Just a shame you need an iPhone to use it.